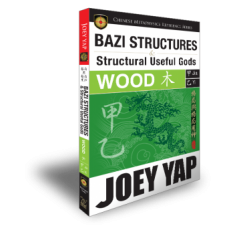 The fourth instalment to the popular BaZi Destiny Code Series continues the tradition of going one step further in analysing the Code of Destiny – this time with an understanding of a person's character through the 10 Gods. 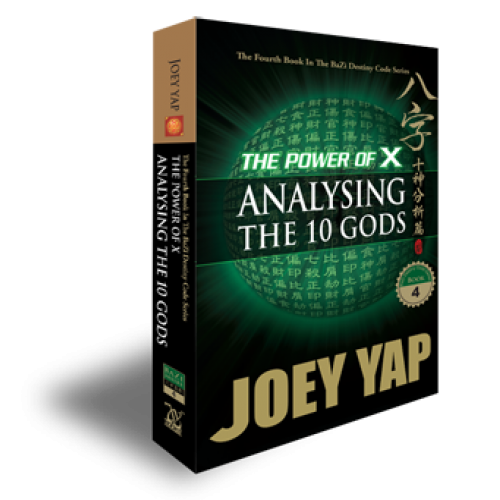 From the principles of 10 Gods and Favourable and Unfavourable Elements, Joey Yap shows his reader what it takes to truly take on BaZi-driven actions for success and happiness in life and personal endeavour. Chapter One: Are We There Yet? The Inception to BaZi and the 10 Gods. The Framework of Persons and Places, and how their Relevance correlates to the 10 Gods. Building the fundamental qualities of the 10 Gods in order to define the very essence. A take to determining the Favourable and Unfavourable Elements and how they contribute to the Five Elements. A step-by-step approach to applying the principles of Favourable and Unfavourable Elements. Put the layers of accuracy, insight and knowledge about the 10 Gods through reinforcements of actions and executions. 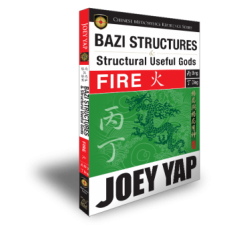 Expand your BaZi analysis skills and gain pervasive perspectives of your Wealth, Career and Relationship prospects, issues and challenges. Connect the dots, link the lines, and get on with life.